Jazz programs on network television are as rare as unicorns, so the fact that two will air next week on PBS--one on Monday, Feb. 27 and another on Saturday, March 3--is noteworthy. 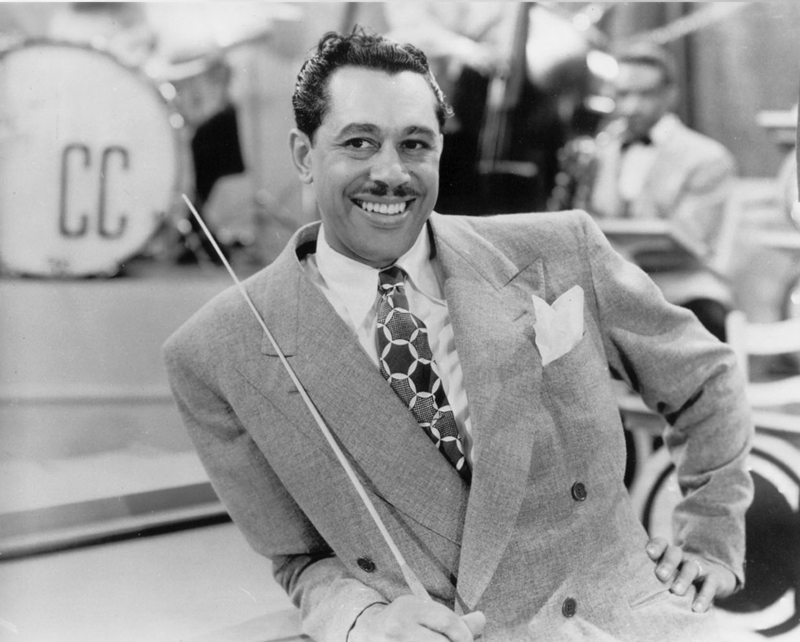 "Cab Calloway: Sketches" premieres Monday, Feb. 27 on PBS's American Masters. Full of hot-cha razzmatazz and hi-de-ho, it's an intriguing portrait of singer, dancer, bandleader, and movie star (Stormy Weather, The Blues Brothers) most people today know little about. Born in 1907, Calloway broke barriers, charmed both black and white audiences, and was a lot more modern than we give him credit for being. The many highlights include an animated map of Harlem with Calloway's commentary. "The Savoy Ballroom, where I bombed with my first band... Small's Paradise, one of the better spots, and next door, the brand-new police station. Heh heh heh heh!" Matthew Rushing, choreographer/principal dancer of the Alvin Ailey American Dance Theater, dances with an animated Calloway drawn by Steve Brodner (the "Sketches" in the title has more than one meaning). Stanley Crouch, Gerald Wilson (who played in Calloway's band), Calloway's daughters, musicians Steve Cropper and Donald "Duck Dunne," director John Landis (The Blues Brothers, in which Calloway appears) and others comment on the man and his times. We also learn what Calloway's hit song "Minnie the Moocher" was all about; it's not as innocent as it sounds. Created by The Brand Agency in Perth, Australia, for The Ellington Jazz Club in Perth. See also "The Bass Solo" and "Table 4." Does anyone know if these posters are available for sale? 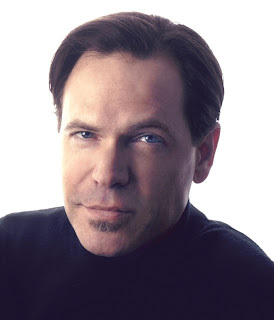 Kurt Elling: "Any music that jazz encounters, it absorbs and transforms"
JazzTimes magazine once outlined a “royal bloodline of male jazz singers.” Here’s how it goes: from Louis Armstrong to Mel Tormé to Jon Hendricks to Mark Murphy to Kurt Elling. Elling will perform at Orchestra Hall in Minneapolis on Saturday, Feb. 18. The preeminent male jazz singer of our time, he is internationally known, praised and applauded. In 2011, he performed 138 shows in 74 cities in 24 countries. His baritone voice famously spans four octaves, and he knows how to use it, singing standards and vocalese (his own lyrics to improvised instrumental solos), scatting, quoting poetry, bending notes, hitting stratospheric highs, and (more recently) singing in multiple languages. All nine of his CDs have earned Grammy nominations; he won Best Jazz Vocal Album in 2010 for “Dedicated to You.” His latest, “The Gate,” didn’t win the Grammy but did take the Edison Jazz/World Award for Vocal Jazz, the Netherlands’ equivalent. He routinely tops the DownBeat and JazzTimes readers’ polls for male vocalist of the year. Elling and his family now live in New York, but he spent many years in Chicago and, before then, attended Gustavus Adolphus College in St. Peter, where he majored in history and minored in religion, wrote his senior thesis on Teddy Roosevelt, and sang with the Gustavus Choir and Stage Band. The band gave him his first taste of being a jazz singer. While attending graduate school at the University of Chicago Divinity School, he sang club dates at night. Jazz won him over. MinnPost: Did you have fun at the Grammys? 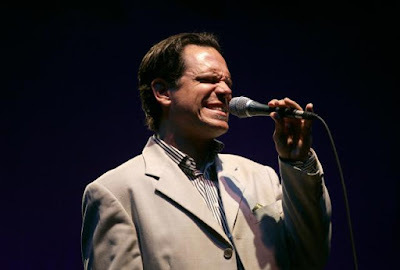 Kurt Elling: I had a great time. I’ve been fortunate because I’ve been able to go several times, and I was a volunteer before, and I’ve got so many friends to see that I don’t otherwise get to connect with. And the Grammys have updated the pre-telecast so remarkably since I was first involved that you really have a sense of an occasion as opposed to feeling like second- or third-class citizens, as it used to. They do the full red-carpet treatment and you feel like it’s a real occasion. So it’s worth doing. MP: Do you have a favorite Grammys moment from this year? KE: I was really excited about Bruno Mars. It wasn’t the most original thing I’d ever seen — it was clearly so James Brown, so Elvis and so throwback — but it was really fun. I wanted to get up and dance. I thought it was killing. KE: [He laughs.] I’m really happy for Terri, she’s a great musician, and she’s definitely paid so many dues over the years, and I respect what she brings to the table. She’s a real innovator and this Grammy is an important victory for her career—as a writer, producer, musician and as a friend. KE: [“Wait Wait” host] Peter Sagal is a friend, and it was lovely of him to have me on. I will say that it was very kindly edited. He interviewed me for another 10 minutes beyond that, and not every question he asked me gave a window to the funniest possible answer. MP: I didn’t realize the shows were edited. KE: Absolutely. I would say the show is a good half-hour to 40 minutes longer than it appears on radio. It’s recorded live, but they cut the parts that don’t work, and they’re very good at it, so it comes off as a seamless experience. Live records are like that, too. It’s all played live, and there are no fixes, exactly, but you always edit things down for time, and you move things around for coherence. Listening to something without being present is different from being there in the flesh. MP: Do you have any plans to add any throbbing, salacious, money-making beats to your own music? KE: [Laughs.] Uh ... umm ... you know, I’m just going down my road. I don’t specifically have a dance mix in mind. So ... no. Money-making? I don’t see that happening. Salacious? I suppose every once in a while the salacious thing is not a bad thing. It’s kind of monochromatic if that’s all you do. Throbbing? Maybe. decided to be a jazz singer? KE: You know, I’ve got enough miles under my belt to know that whatever you envision in your mind, even if it comes true, will only keep a shape in the most general way. Yes, I’m a professional jazz singer, and here I am, but the specifics of what that feels like, looks like, and sounds like are different. You can never predict what the specific shape of your life is going to be, and you won’t really know its general shape until, God willing, you’re advanced in years and you have the time and opportunity to look back in a coherent way and see what your life was about. I don’t mean to be evasive. I’m really, really happy with my life. At the same time, it does look different, in reality. 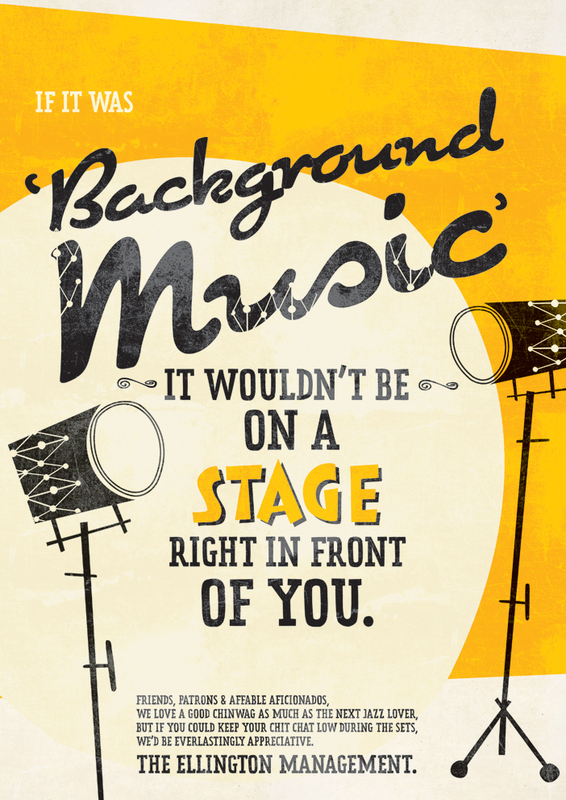 MP: You’re not just someone with a regular gig. You’re a highly lauded jazz singer who travels the world. You’re always winning polls and getting awards. You have worked really hard, and you have achieved a lot. Did you think it would turn out this way? KE: It’s kind of you to say. I think you have to be confident when you’re young and before anything has happened, before you’ve really proven it to yourself or anyone else, you have to be confident that you can do such a thing. I remember early on reading about Charlie Chaplin, and it stood out to me that he said, basically, “even when I was living in the street, and I was a child, and nobody knew who I was, and I had coal on my face, and I was starving, I knew I was the greatest actor in the world.” That’s the kind of thing that you have to have if anything’s going to happen. I think that the confidence I had, whether it was justified or not, was the confidence that I needed. MP: Did you have that confidence early in life? KE: I didn’t know that it was going to come out as a jazz musician, but I certainly had a strong premonition that something marvelous was going to happen, and that it would be costly, and that I would want to dedicate my life to it. I might not have known what that was, but I did have a suspicion it was going to be something that played to my level of comfort in front of an audience. And I just hadn’t figured out what that outlet was going to be. I’m extremely grateful that it worked out the way it has, and I’m very dedicated to the proposition of justifying the attention that people have paid me so kindly. MP: What can we expect to hear on Saturday night at Orchestra Hall? KE: You’re going to hear one and maybe two arrangements that are in progress for our next CD — a sneak preview. We’ll do a couple things from “The Gate,” and probably a thing or two from “Passion World” [the program he performed last Tuesday in Chicago], because that’s fresh on our minds. So some things that you’ll expect, and things that will be new, or newish. MP: One more “Wait Wait” question: At the end, you said that “jazz is the ultimate syncretic art form.” What did you mean by that? KE: Any music that jazz encounters, it absorbs and transforms. It takes it into itself and transfigures that art form. It’s true when jazz musicians go after classical music, Afro-Cuban music, Brazilian music. It’s what jazz does. It encounters unforeheard propositions, and it absorbs and transforms those sounds into something new and amazing. It’s unlike any other traditional form of music that only wants to play by its own set of rules. I’ve seen Kurt Elling perform countless times—seriously, so often I’ve lost track of the number—but I’d never interviewed him until Thursday, Feb. 16, two days before his performance at Orchestra Hall in Minneapolis. I reached him by phone at his home in New York City, where he was spending a few days before coming to Minneapolis. A condensed version of this interview appears on MinnPost. PLE: I understand you did “Passion World” in Chicago on Tuesday. I was at the first performance in New York, with Richard Galliano. Kurt Elling: We did kind of an updated version. We added a couple of compositions, and we were fortunate to have Anat Cohen and Regina Carter with us this time. Was this the first time you performed with them? No, Regina and I toured together with the Monterey Festival All-Stars, and Anat and I were on the same Jazz Cruise just now. She sat in with my band a couple of times there. She’s just a joy. Both of them are such lovely people, and such great musicians. [The Chicago concert] was a real pleasure for everybody. I think it was an ideal situation for Valentine’s Day.